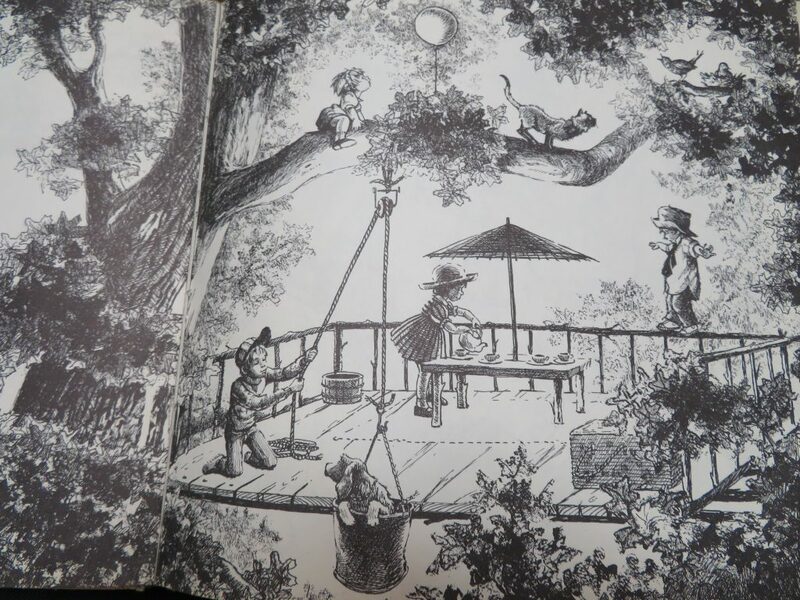 This is a tale of wild, imagined adventures; practicing leaving home behind; and of family. (It reminds me a lot of Where the Wild Things Are.) 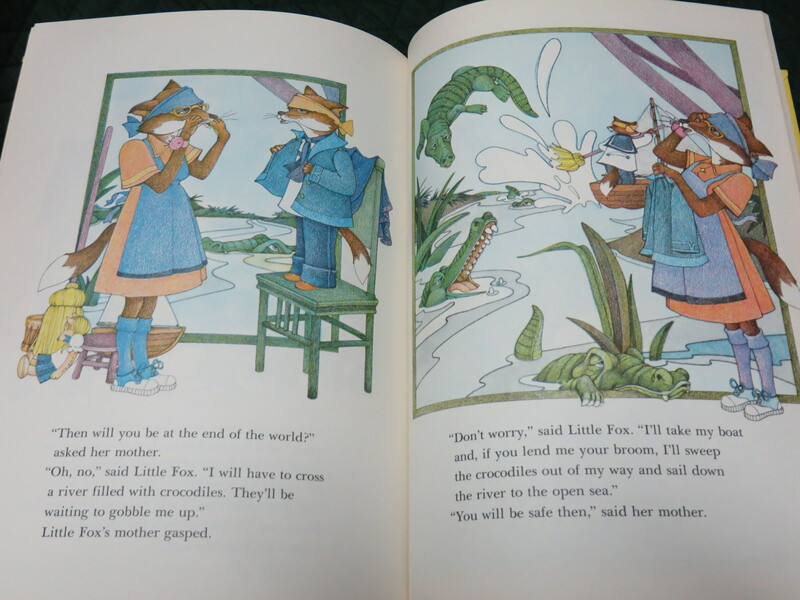 The boys like how Little Fox’s imagined journey to the End of the World unfolds–the creative perils and solutions are a huge part of the fun (and the pictures–get the version of the book with these out-of-print pictures, if possible). I love to read this book aloud. It feels like music or magic (and I love to gnash my terrible teeth and roll my terrible eyes and show my terrible claws). Unfortunately (and hopefully coincidentally), it is one of the only books that actively bothers my oldest. 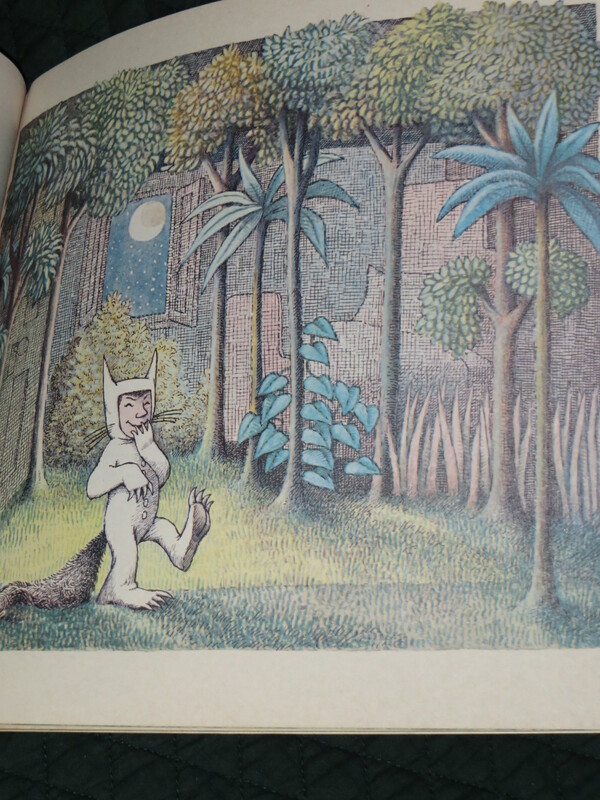 But my youngest is fascinated by it, so occasionally we let the wild rumpus start.